The wonderful Bill Sevesi is 90 as I write, and he has two compilation CDs out, each from a different record company. And each compiler -- working with Bill -- had plenty of music to choose from so there is no overlap . . . and room for quite a few more collections from this genius of lap steel guitar. Bill Sevesi has been featured at Elsewhere previously (notably in this profile) so perhaps we needn't go over the ground again, only to say that for many, many decades he brought his timeless sound -- grounded in the popular Hawaiian style of the Forties -- to dancehalls, radiograms and stereos across New Zealand. 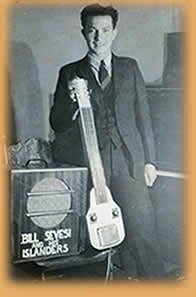 Bill Sevesi is in the steel guitar hall of fame in St Louis, Missouri. The two current collections are 25 Hawaiian favourites by Bill Sevesi and His Islanders (Frenzy/Ode) and Polynesia: The Very Best of Bill Sevesi (Rajon/Sony). Each comes in an evocative cover. One has excellent liner notes, the other has notes by me. 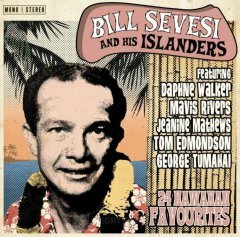 Chris Bourke's notes for the 25 Hawaiian Favourites outlines Bill Sevesi's long career, mine are a more personal reflection on what his music has meant to me, with a little Bill-bio thrown in. Every home needs one Bill Sevesi collection, but because there are no overlaps across these two, why not go for both? Bill Sevesi's music brightens any day, brings romance and exoticism into the darkest moments. It is healing music in its own way. I reproduce here below what I wrote for the Polynesia collection . . . When I was invited to write these liner notes and shown the track listing for this compilation, I went to find my Bill Sevesi CDs. I knew exactly where they were. Where they always are, right beside the stereo. 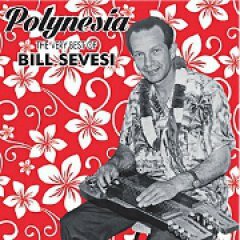 Bill Sevesi's seductive and often romantic music is always close at hand because we play it when we have overseas visitors to give them a feel for Polynesia, we play it on Saturday nights and Sunday mornings, when we have a barbecue, when we . 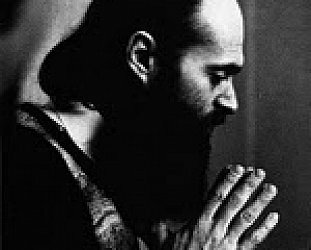 . .
Bill Sevesi's music is for all seasons and reasons. 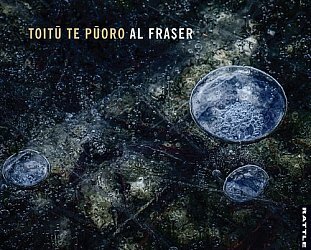 Tongan-born Sevesi – originally William Jeffs but who adopted the Tongan version many decades ago – grew up in age when Hawaiian music was a global phenomenon and the slippery sound of lap steel guitar conjured up a mythical Pacific of palm trees, warm breezes and the exoticism of the islands. As a boy he tuned his crystal set to the wavelength of Sol Hoopi and other legendary Hawaiian guitar masters, learned to play by listening to the radio then 78rpm records on a wind-up gramophone, and watched band leader Epi Shalfoon at the Crystal Palace in Mt Eden week after week until eventually he was invited up to play a number. Bill only knew one with any confidence – the standard Isa Lei, included here – and so a career was born. Almost. 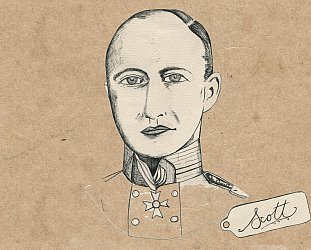 The war intervened and he went to Italy, fell for the charms of Italian girls and learned the language, but then came home to pick up his passion again . . . and launched Bill Sevesi and His Islanders who were a staple on the Auckland circuit – notably at the Orange Ballroom – right through the following decades until the mid 70s. But Bill didn't retire then. He'd always recorded – often under pseudonyms – so turned his attention to his modest home studio and to nurturing and encouraging the talent of others. 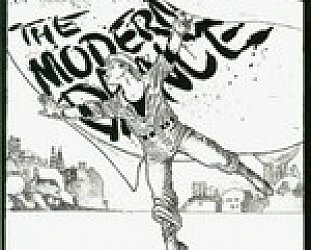 It's a measure of the man that while compiling this collection with Morrie Smith he could have chosen an all-instrumental selection (which would have been equally impressive), but he has included vocal tracks to showcase those whose talents he believes in, and has tunes with fellow steel guitarists Trevor Edmondson and Bill Wolfgramm. There's an ease about this music and the way Bill plays which perhaps invites nostalgia for a Polynesia which may exist only in our imagination. And yet it also holds out the promise that this magical place is somewhere out there, waiting for us still. I would like to add this: Bill Sevesi – who has won numerous awards and is in the steel guitar hall of fame in Missouri – is humble and a gentleman. I wrote an article about him once and he rang to thank me. Believe me, that is rare. But he is rare man who has made rare music. Keep this collection by your stereo. It is music for all seasons and reasons.